Father Woods and Mary established the first House of Providence in 1868. 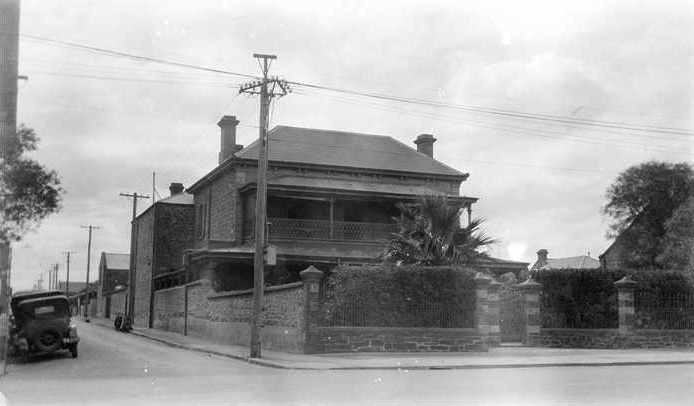 Located in a small rented cottage on the corner of West Terrace and Franklin Street, the House of Providence - also known as St Joseph's Providence - was the first charitable institution to provide permanent and temporary residential care for Adelaide’s aged and destitute women. It also supported newly arrived immigrant girls whilst they searched for employment in the colony. The Sisters also fed many of the city’s destitute men who came begging at the door. The House of Providence moved several times to different rented locations in the city, including 121 Gouger Street, Whitmore Square and Flinders Street. In 1905, the Catholic Archdiocese of Adelaide purchased a large 1860s two-storey home on West Terrace and relocated St Joseph's Providence there. The institution relied on financial support and donations from the South Australian community. It was reportedly a common sight to see the Sisters of St Joseph carrying large bags of donated clothing and food back to the West Terrace Providence. In 1951, a larger premises on Sir Donald Bradman Drive at Cowandilla became available and the Providence relocated here. By 1972 the Government was contributing funding towards the operation of the Providence. Its name was changed to Flora McDonald Lodge, in memory of Mary MacKillop’s mother. The West Terrace building was sold in 1951. The building was eventually demolished in the 1990s. Remnants of a brick wall can still be seen at the rear of the present-day car dealership. 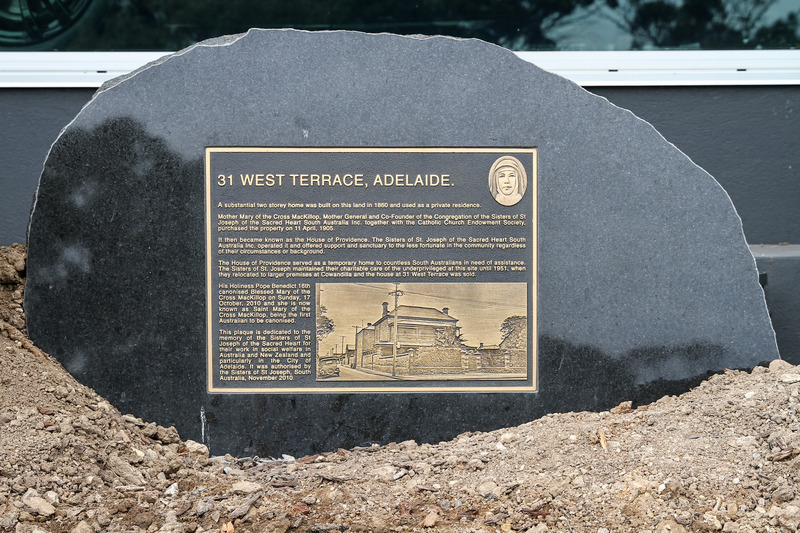 In 2012, a plaque was erected on the site to commemorate the West Terrace House of Providence and the charitable work of the Sisters of St Joseph. 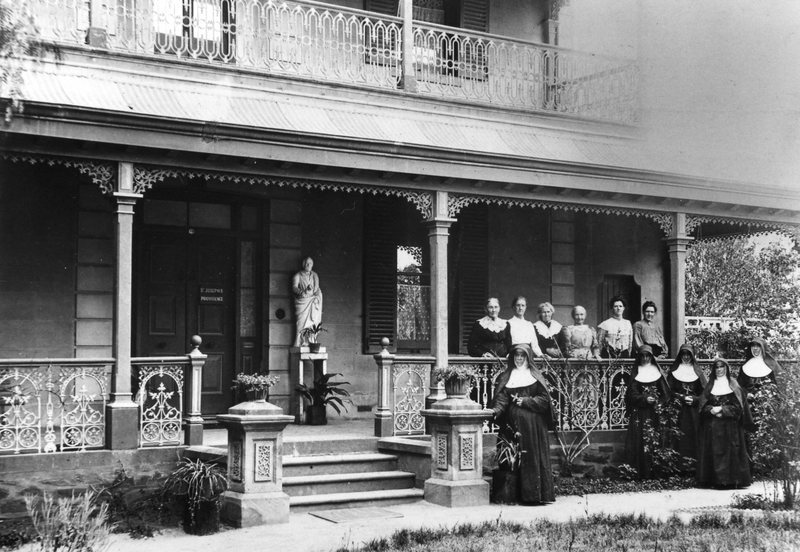 The Adelaide City Explorer Team and Mary MacKillop Centre Adelaide, “Mary MacKillop: West Terrace House of Providence,” Adelaide City Explorer, accessed April 24, 2019, https://adelaidecityexplorer.com.au/items/show/141.